Guerlain celebrates the holidays with its Crazy Paris collection, full of bright, vibrant shades for your eyes, lips, face and nails. 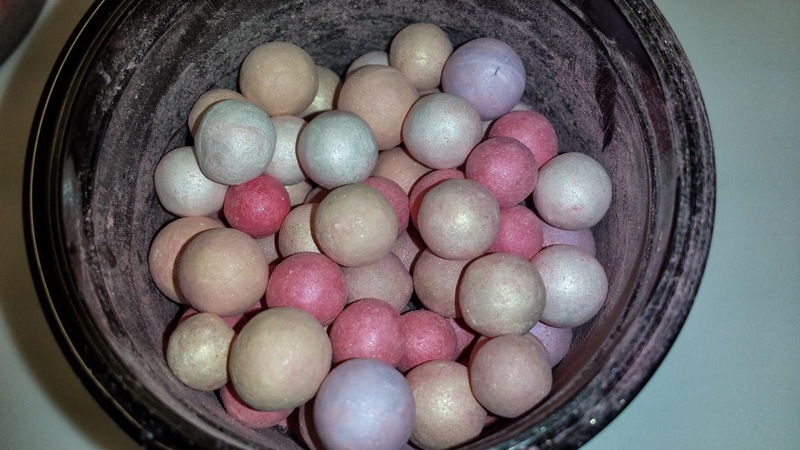 Meteorites pearls illuminating powder gives you a more luminous, even skin tone with one simple sweep of your brush. The limited-edition color combination for the Crazy Paris collection features a blend of beige, pink, white and gold so you can achieve that perfect radiant glow. 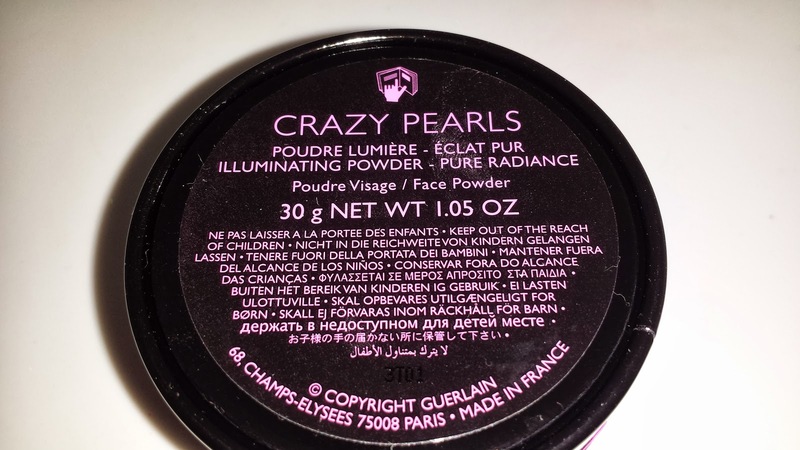 GUERLAIN CRAZY PEARLS METEORITES (CHAMPS ELYSEES METEORITES) is a limited edition illuminating powder. 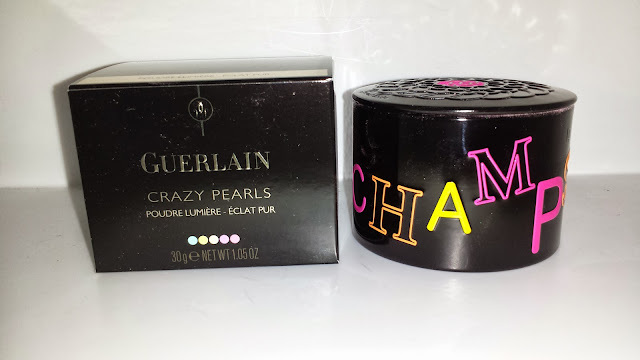 It is part of the 2013 Guerlain holiday (CRAZY PARIS) collection and currently retails at $58.00 USD for 1.05 oz of product. The pearls are a mixture of pink, white, purple, gold, and beige colors that once blended give a nice healthy pinkish glow to the skin. 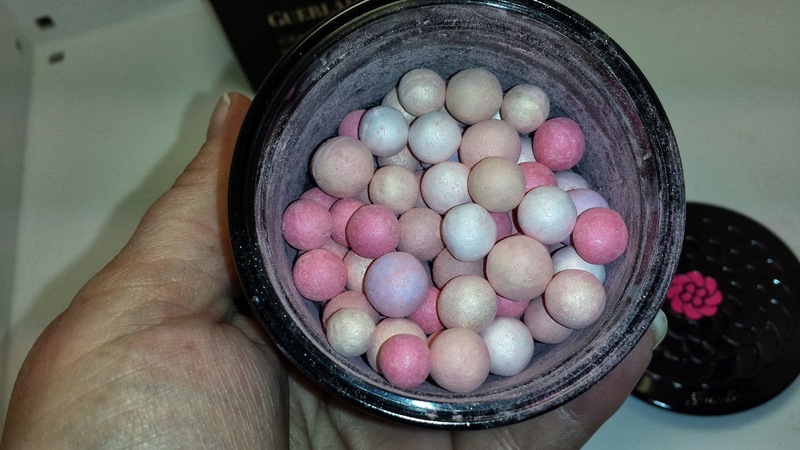 I love Guerlain products, especially the meteorites, and these live up to all the hype. The color payoff is exceptional and the lasting power was a solid six hours with slight fading after seven to eight hours. The Crazy Pearls are rather cool toned so those with darker complexions might experience a somewhat ashy look depending on how well it is applied and/or blended in. 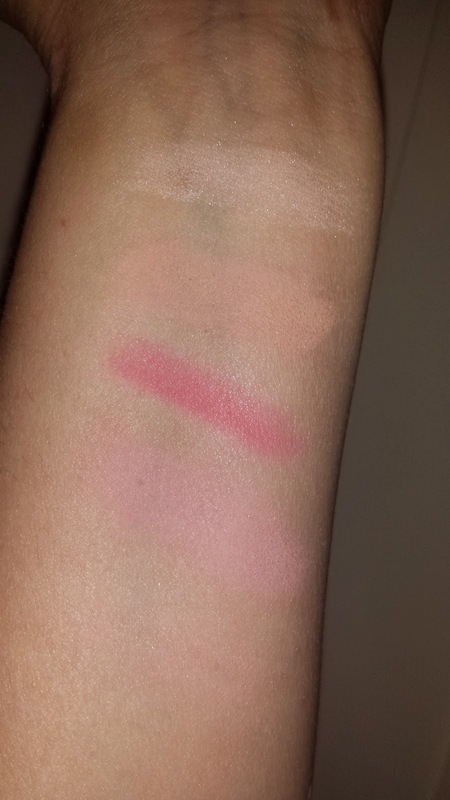 Also, the pink meteorites seem to overwhelm the overall color mixture making this more suitable as a blush but with a really light hand it could still be worn as an all-over the face product. 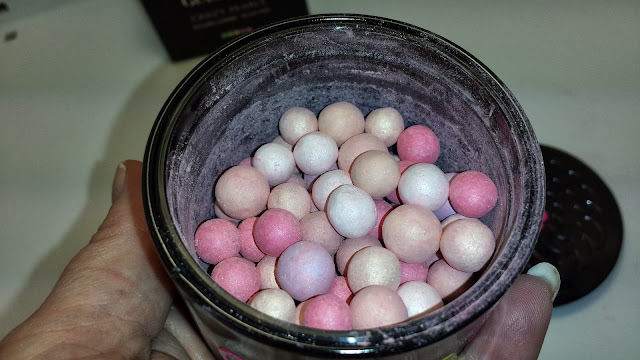 The powder texture of the meteorites is somewhat chalky which tends to be a bit messy and it will enhance the pores ever so slightly if not blended in properly. 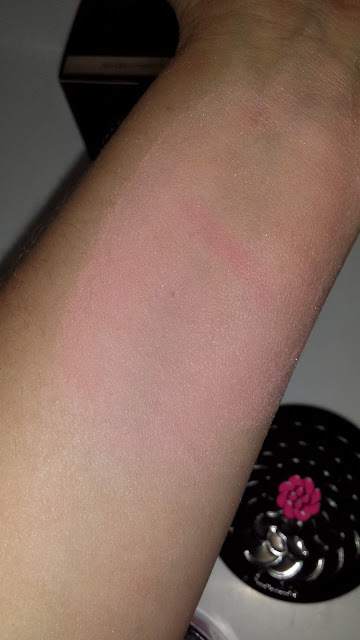 However, once blended in it gives the skin a beautiful and healthy glow. So even though it does take some work (trial and error) to get the optimum results with the Crazy Pearls meteorites it is totally worth it. -Swipe beige and rosy beige to even out the skin, mauve to refresh, white to light up, gold to illuminate and pink for a healthy glow. -Pink is accentuated to revive tired complexions and deliver an uplifting energy boost. I love these!! I purchased them two weeks ago, I seen all kinds of bad reviews because of the packaging? Are you kidding me?? The package is fabulous in my opinion!! I love it!! I love the packaging! It's so cute and colorful. The tin container is so much better than the cardboard one. LOL I love it too!! !